Lyndsey K. Bates provides employee benefit, labor, and employment law advice to municipal retirement and health systems, multiemployer fringe benefit funds, trade associations and businesses. Lyndsey blends her practice between Taft-Hartley fund representation, ERISA litigation, and ERISA and IRC compliance. In addition to appearing in state and federal court, Lyndsey has represented clients before the Ontario Labour Relations Board. Lyndsey also has experience counseling clients on a wide range of complex employment issues, including workplace policies, handbooks, and procedures, leave laws including the Family-Medical Leave Act (FMLA), wage and hours issues, workplace harassment and discrimination, employment agreements, and non-competition agreements. 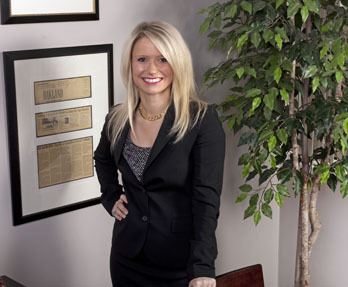 Lyndsey has also represented clients before the Equal Opportunity Employment Commission (EEOC) and the Michigan Department of Civil Rights (MDCR).